On arrival at Srinagar International Airport at an altitude of 1730 Mts. Meet our assistance at the airport & transfer by car to Pahalgam, Meals and over night at Hotel. After breakfast, Leave for Phalgam sight seeing, Phalgam also known as Land Of Shepherds. the distance of 96 kms will be covered in about 3 hrs. The mountain town is located at the convergence of the Lidder river and the Sheshnag Lake, at a height of 2,130 m, Enroute visit Saffaron fields and Awantipura Temple ruins (1100 yrs old temple of Lord Vishnu built by King Avantivarman) Pahalgam hill station is a spectacular sight. At one point of time, the hill station used to serve as the village of shepherds. Even today, this one-time village with splendid views stands untouched by the ravages of progress. On reaching early you can visit to Baisaran (Mini Switzerland) on ponies (on extra cost) the huge meadows surrounded by thickly wooden forests of pine present a beautiful spectacle.Evening drive from Pahalgam to Srinagar. Check in at Hotel. After early breakfast, drive to Gulmarg which takes 2 & half hrs to reach, at an altitude of 2900 Mtrs. A cup shaped valley called Meadow of flowers old name (Gaurimarg",). the green carpeted meadows offer a pleasant view to tourists and perfect level of slopes to the golfers the Asias highest golf course with 18 holes is also a part of beauty in Gulmarg. You can take to a Cable Car ride which is completely computerized and goes upto top which is highest in the world at an altitude of 14000 feets. One can enjoy the breath taking view of snow caped mountains while going upto the Ist phase known as Kongdori (3045 mtrs) or 2nd phase known as Affarwat (4060 mtrs) a famous ridge that offers adventures slopes for down hill skiing /snow boarding. A sledge or Ski can be hired when slopes are covered with snow. Meals & overnight at Hotel. 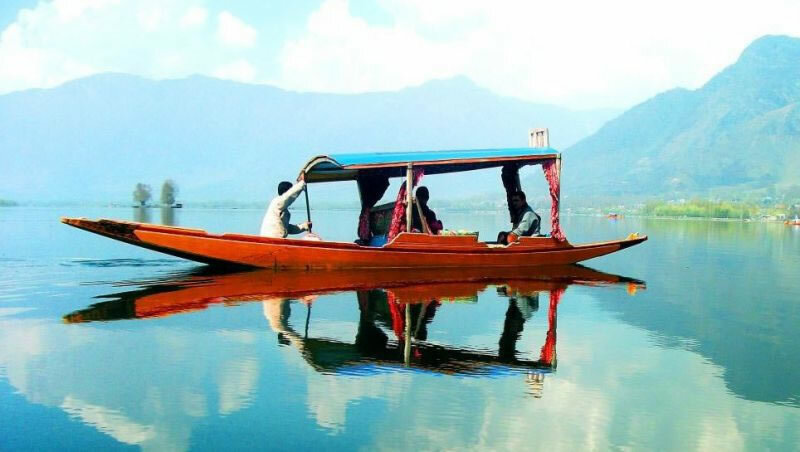 After Breakfast drive to the Srinagar city (Sri means Lakshmi or Wealth & Nagar means a city) check in at houseboat, Local shopping and Shikara Ride in Evening over night at Houseboat.